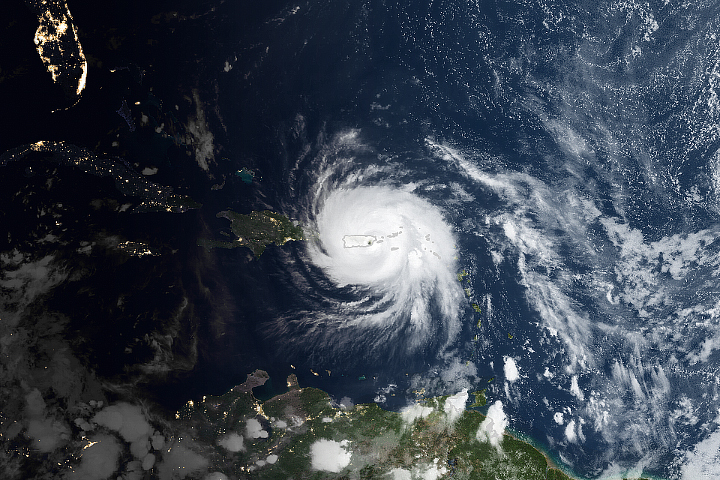 In September 2017 Hurricane Maria struck Puerto Rico as a category 4 storm, with winds exceeding 155 miles (250 kilometers) per hour. Beyond the devastating impact on human lives and property, the storm also transformed much of Puerto Rico’s lush tropical rainforest. 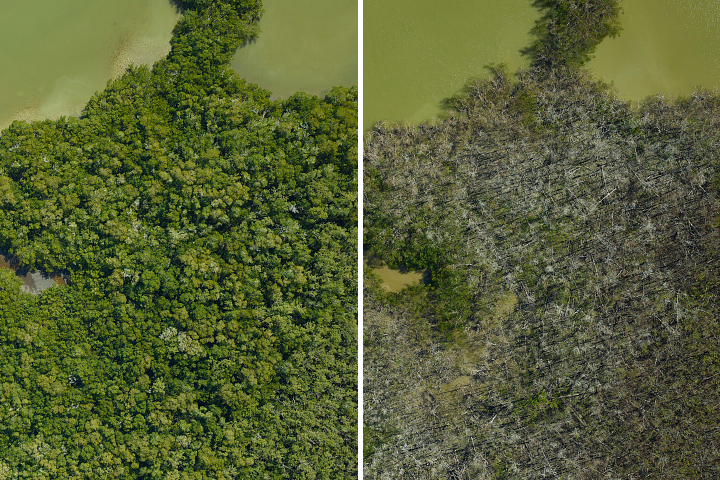 Six months before the storm, a NASA research team used the Goddard LiDAR, Hyperspectral and Thermal Imager (G-LiHT), an airborne imaging system, to study the structure and species composition of Puerto Rican forests. 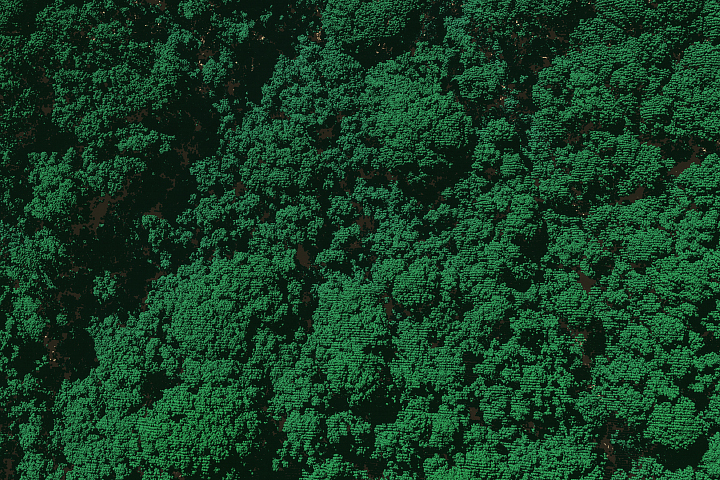 Shooting 600,000 harmless laser pulses per second, G-LiHT produces a three-dimensional view of the forest in high resolution. In April 2018, seven months after Hurricane Maria, the researchers went back and surveyed the same tracks that they flew over in 2017. 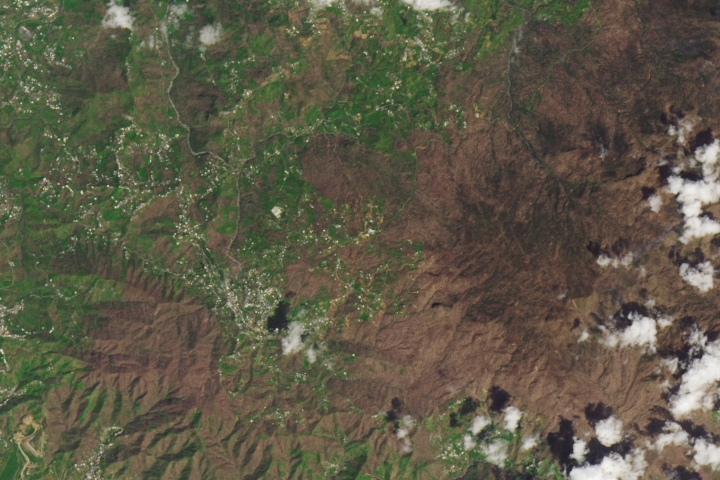 The images above, built with G-LiHT data, show changes in tree cover in a section of El Yunque National Forest in Puerto Rico before and after Hurricane Maria. 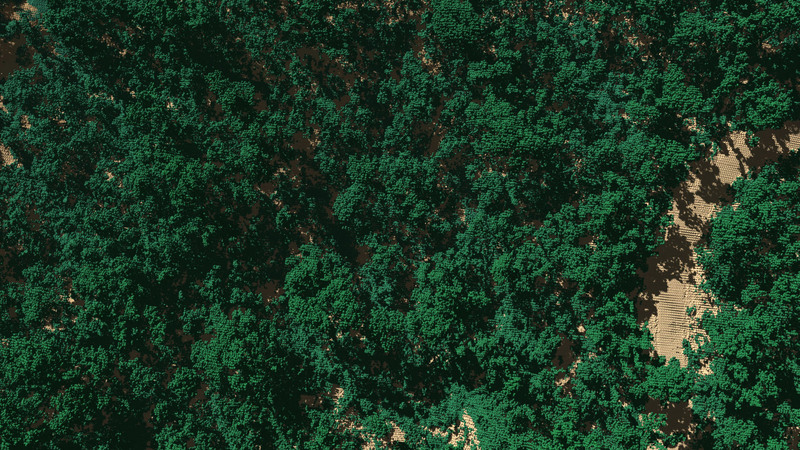 Note the increase in forest floor that is exposed to sunlight. The damage had far-reaching effects. 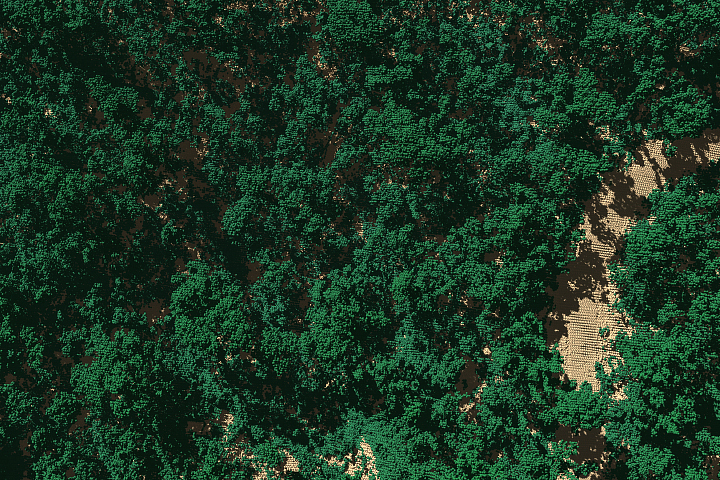 Trees stabilize soil on slopes with their roots. 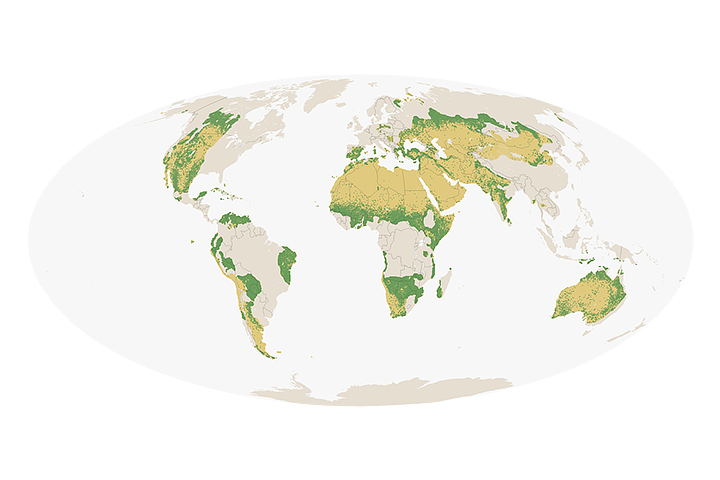 The loss of trees, plus the accumulation of downed branches, can contribute to landslides, debris flows, and increased erosion. Those problems can, in turn, lead to poor water quality in streams and rivers where excess sediments build up. 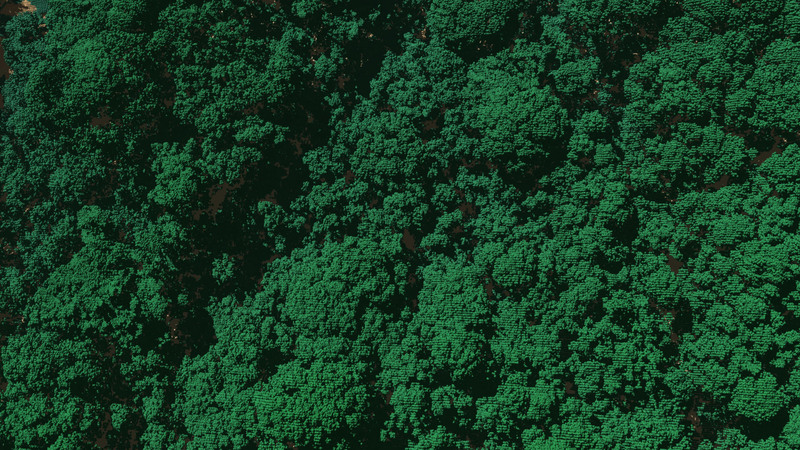 The lidar surveys also corroborate findings by ecologist Maria Uriarte of Columbia University, who examined tree death and damage rates in ground plots at the Luquillo Long-Term Ecological Research site. Uriarte found that certain tree species were more susceptible to the high wind damage, while others such as the palms, shrubs, and shorter trees survived at higher rates. Morton and Uriarte will continue to follow the fate of Puerto Rican forests as they recover from hurricane damage. NASA Scientific Visualization Studio images by Alex Kekesi, Greg Shirah, Horace Mitchell, and Cindy Starr, using data from the Goddard&apos;s Lidar, Hyperspectral, and Thermal (G-LiHT) Airborne Imager. 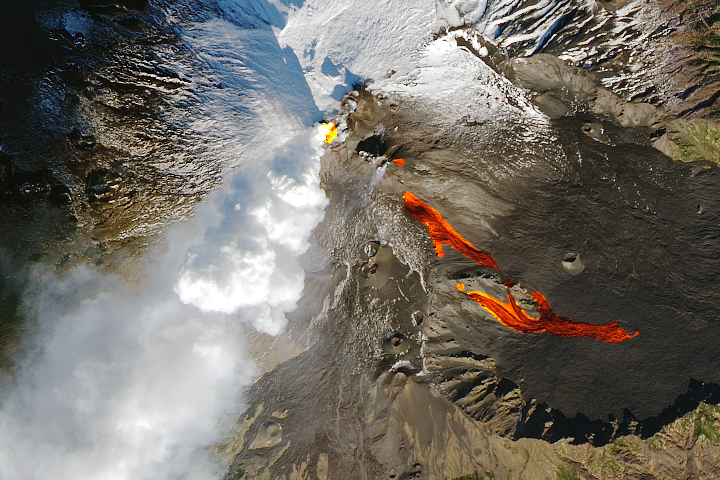 Story by Ellen Gray, NASA Earth Science News Team, with Mike Carlowicz. A research team has found that 40 to 60 percent of the tall trees surveyed on the island either lost large branches, were snapped in half, or were uprooted by strong winds from Hurricane Maria. Evolving from category 1 to category 5 in less than 18 hours, Hurricane Maria brought destruction to several Caribbean islands. Berkeley Lab (2018, March 1) Assessing the Impact of Hurricanes on Puerto Rico’s Forests. Accessed January 3, 2019. Columbia University (2018, March 22) Climate Change and the Re-Greening of Puerto Rico. Accessed January 3, 2019. 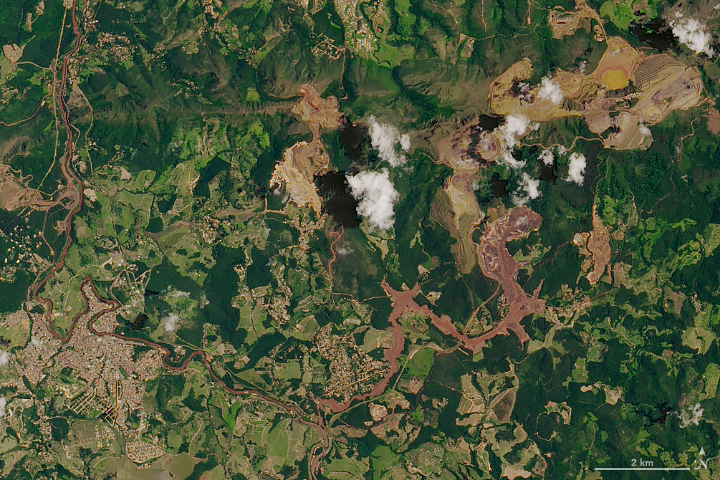 Global Forest Watch (2018, August 1) While Puerto Rico’s People Still Suffer the Effects of Hurricane Maria, its Forests are Faring much Better. Accessed January 3, 2019. NASA (2018) G-LiHT: Goddard’s LiDAR, Hyperspectral and Thermal Imager. Accessed January 3, 2019. 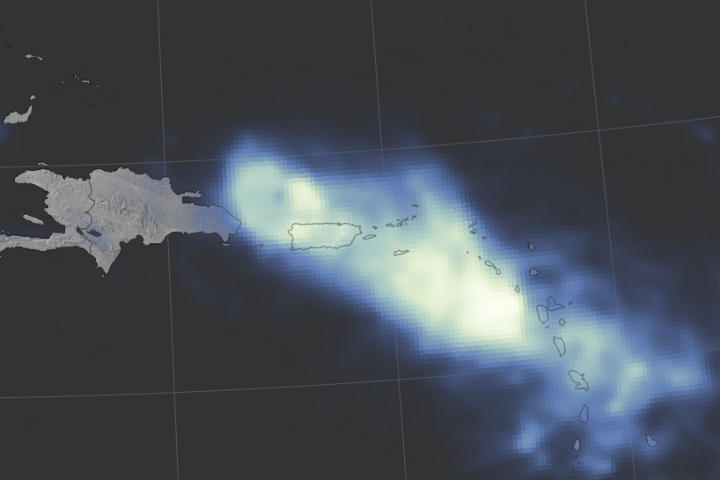 NASA Earth Observatory (2018, December 13) Night Lights Show Slow Recovery from Maria. 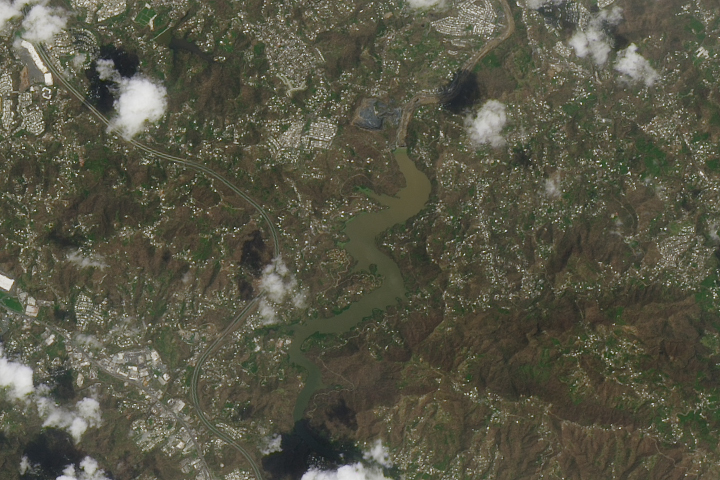 NASA Earth Observatory (2018, September 21) Recovering from Hurricane Maria. 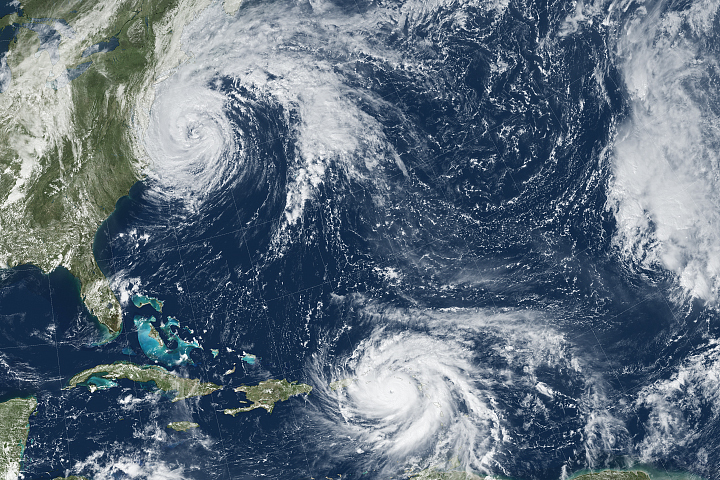 NASA Earth Observatory (2018) Hurricane Maria.